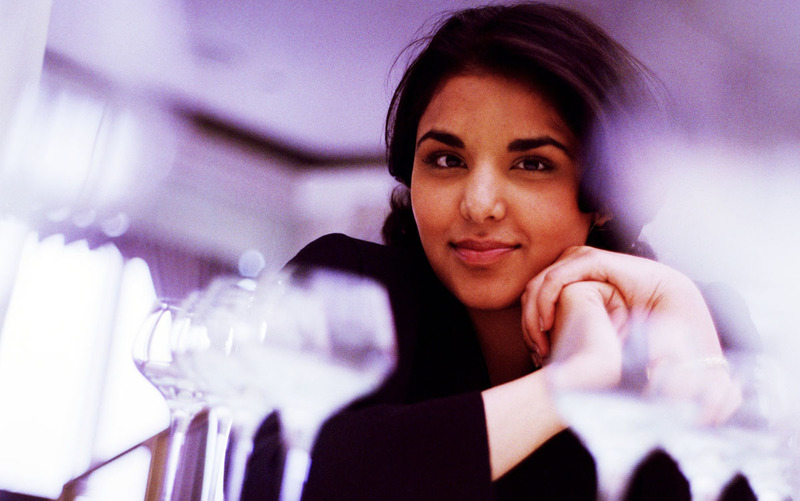 Draped in a crisp dark suit and the aura of authority, Monterey-born Alpana Singh walks toward a table of diners pondering the hefty wine list at Everest restaurant atop the 40th floor of the Chicago Stock Exchange Building. Female. Twenty-five years old. Of East Indian heritage. In charge of an award-winning, million-dollar, 1,500 bottle wine cellar. This is the face of wine service in America. For generations, wine service has had a decidedly European bent, thanks to that continent’s lineage of accomplished winemaking. And sommeliers — those in charge of buying wines, crafting wine lists and recommending fine wines to diners — were typically white men. While women began to break into this elite vocation two decades ago, ethnic minorities are just now starting to make this profession their own. It’s a remarkable turn, given that many come from cultures in which wine drinking is not only uncommon, but in a few cases, forbidden because of religious beliefs. Overall statistics on the trend are hard to come by because no organization tracks the ethnicity of sommeliers; few even keep track of their total numbers. But many in the industry say they are seeing more minority wine buyers, wine stewards and sommeliers. Andrew Bell, president of the American Sommelier Association, says in the past few years he’s noticed a 15 percent increase in members of minority groups taking association wine classes. Many go on to jobs in the wine industry. Larry Stone, master sommelier at Rubicon restaurant in San Francisco, noticed the trend taking off in the 1990s, when a labor shortage allowed many restaurant workers to move up into wine service. Look at what’s happening with master sommeliers. Generally regarded as the highest distinction in wine service, the credential is bestowed on those who pass a rigorous three-part certification process that tests knowledge of wines, service, pairing and laws. Only 8 percent pass. There are only 104 master sommeliers in the world. Of those, 51 are Americans and just 10 are women. In 1988, Japanese-American Chuck Furuya, 48, of Hawaii became the first member of an ethnic minority to pass. It wasn’t until this March that the second joined him — Luis de Santos, 30, of Spago Las Vegas, the first Filipino-American master sommelier. Now, Reggie Narito, 42, a part-time sommelier at San Jose’s Le Papillon and Saratoga’s Plumed Horse, could become the third if he passes the master’s test next year. It’s only natural that more members of minority groups would be shifting into wine service, given that they now make up a sizable proportion of restaurant employees and the industry now employs more minority managers than any other, according to the National Restaurant Association. In fact, many of today’s sommeliers got their start as busboys or bartenders. 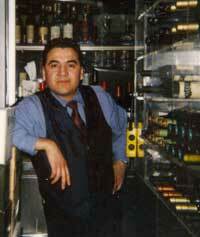 Arturo Valadez, from Mexico, started as a busboy in Las Vegas restaurants 12 years ago. When the sommelier at the Stratosphere’s Top of the World restaurant shared a wine school for his staff, Valadez, who was a waiter there, discovered his true passion. The 34-year-old, who is studying to take the second part of the master’s test, is now a sommelier at Aureole in Las Vegas, a restaurant whose flamboyant centerpiece is a 9,865-bottle, four-story glass wine tower where female “wine angels” on mechanical hoists fetch the wine. William Lewis, one of the few black sommeliers around, got his start as a waiter. But the 36-year-old sommelier at Morton’s in Santa Ana also grew up with a father who enjoyed wine and cognac, and cooked escargot and risotto for his children. In the often intimidating world of wine, with its high prices, flowery descriptions and dizzying array of vintages and varietals, Lewis and others hope their presence will make wine more approachable to a wider audience. Already, wine drinking among minorities nationwide is rising. In 1998, according to the Adams Wine Handbook, 11.7 percent of all adult Hispanics, 17.2 percent of adult Asian-Americans and 15.3 percent of adult blacks consumed domestic table wine. In 2001, those figures jumped to 32.2 of adult Hispanics, 28.8 of adult Asian-Americans and 25.8 of adult blacks. Yet, 15 percent of wine drinkers still consume 85 percent of the wine purchased in this country. Valadez agrees. He often finds himself serving tables of wealthy Latinos who feel more comfortable speaking Spanish to him. 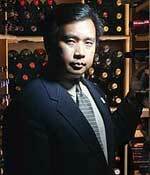 Narito thinks minority wine stewards sometimes pick up nuances others might miss. For instance, he explains, many Asian immigrants favor big, strapping cabernets high in tannin because they drink so much tea, which is also very tannic.